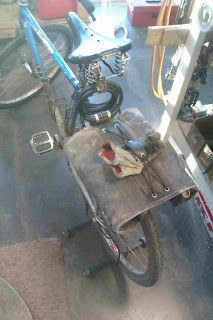 A new Waterford and an old Gordon, a fairly typical day at the shop working on great bikes. I am reminded that a great bike is always a great bike. What made a bike great thirty years ago still makes the same bike great today. Craftsmanship. Care. Design and proper use of materials. Hand Work, not machinery or computers. Newness doesn't make a bike great, Carbon Fiber doesn't necessarily make a great bike. Steel doesn't always make a great bike. Great bikes aren't cheap, but expensive bikes aren't always great. If you buy a great bike today it will still be a great bike in thirty years. A mediocre bike today will still be a mediocre bike in thirty years, if it lasts that long. Who wants to ride a mediocre bike for thirty years? Who among us has bought a mediocre bike thinking it was great? Who among us has sold a great bike in order to finance a new bike, only to find out the difference between "great" and "new?" What makes a great bike? 1. Fit. The rider can embrace the machine without strain, and function with it as if one. 2. Design. The bicycle has features demanded by its intended use. 3. Handling. The frame is straight. The fork is straight and complements the geometry of the frame. The bike goes where you look/lean/steer. 4. Execution. Craftsmanship. Attention to detail. The closer you get the better it looks. Even this beat-up old Bruce Gordon is beautiful when you get right up close to it. 5. Feel. The final personal judgment. The bike feels good when you ride it. Every time. At the end of the ride just as at the beginning. The flex of the frame is matched to the weight and style of the rider. A bike which is great for one rider might be merely good for the next. No particular feature or characteristic sticks out-you can't describe it as "light" or "heavy" or "rough" or "quick" or "chattery" etc. Any single dominant trait will detract from another. The bike is balanced. A great bike is both heavy AND light, depending on the demands put on it in use. A great bike is both quick AND stable. 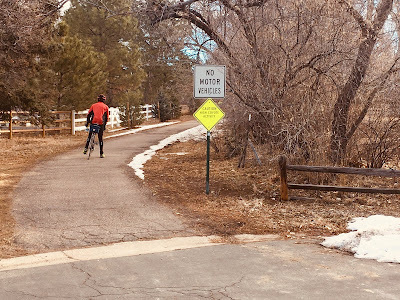 A great bike disappears to you in that it has no distracting manners, it does just exactly what it is expected, when it is expected, as many times in a row as necessary, without drawing attention to itself. It is quiet, competent, sublime. You can't tell a great bike by riding it once. You have to own it. Use it repeatedly, in different situations, and come to know it. One of the good bikes that I own, all I can think about when I use it is, "stiff." When turning, "stiff." Accelerating, "stiff." Rough pavement, "stiff." 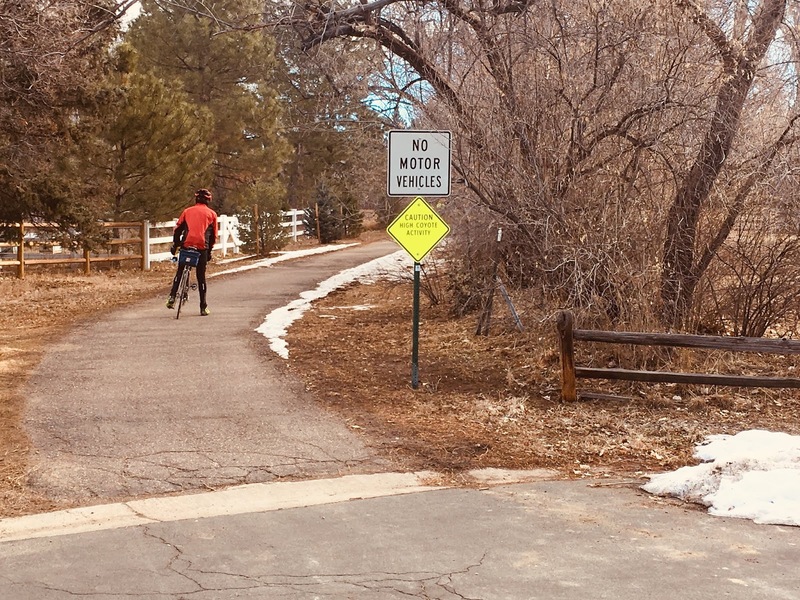 Twenty miles later, "stiff." Looking at the bike, seeing the components, weighing it, you'd think "great bike." But no, merely good. Another of my bikes at a distance looks like a third-world castoff, scraped paint, dirty tires, saggy old leather saddle, bleached and chipped bar tape. Fenders. Kickstand. Dull corroded old sidepulls. But get closer: Phil hubs, Record headset, 531 tubing, Bluemels, Brooks, Nitto, AmClassic, Chorus. And you begin to doubt the battered finish and the dirt and the corrosion. And what doesn't show, evident only after much use: perfect handling, absolutely neutral. Straight. Ride figure-eights in the parking lot no-handed. Comfortable right away, comfortable an hour later. Absolutely trustworthy and predictable, it has become my foul-weather bike that goes out for the worst, coldest, frozen and most dangerous commutes. Great bike. A fancy expensive bike I had beat the hell out of me. Seventeen pounds of torture. Rides I couldn't wait to end. I took this machine on Triple Bypass, which turned out to be one of my worst rides ever. 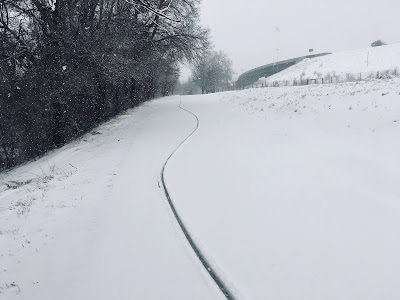 My opinion became that it is useful for short rides only, in dry sunny weather. It eventually cracked and went to warranty heaven. All the hype and marketing and Tour de France pedigree said it should have been a great bike, but actual use exposed it as much less. Overpriced piece of caca, good riddance. Sometimes it takes a discovery. Another bike I have was never comfortable. Straight, fast, quick, lively, damp, a good bike generally, but somehow hard. Hard. Wanting only wider tires to be great. And once I discovered that it became a bike that I might never sell. 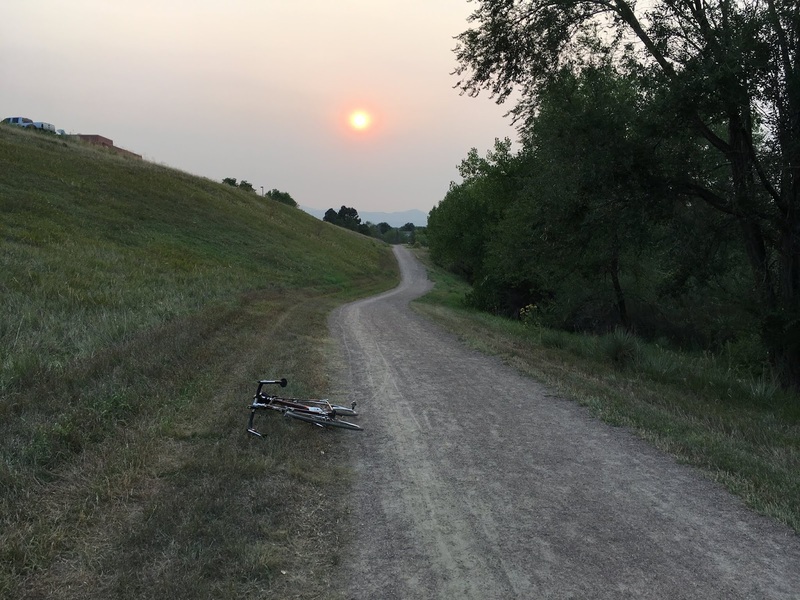 A very similar bike was reviewed in a journal I respect, which declared it to be among their most-favorite bikes ever, once the wider tires mounted. That gave me a feeling of vindication. There aren't many great bikes out there. Is yours one? Hmmm. What does it mean? Don't forget, during your ride, or your workday, during heavy storms or light days, to look up and see the world unfolding around you. 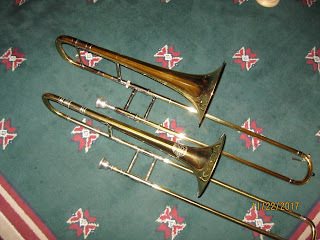 Both instruments are made of brass with nickel trim, typical of high-quality instruments even today. 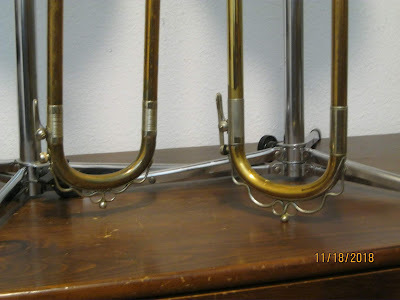 The snake decorations on the slides are traditional to German horns, as are the thin bell brass, turned stays and ferrules, large bores, floating slide brace, and the nickel bell rim and leather valve hook of the bass horn. Most of these features have been dropped from modern instruments, however the large bore continues to be standard for orchestral trombones. 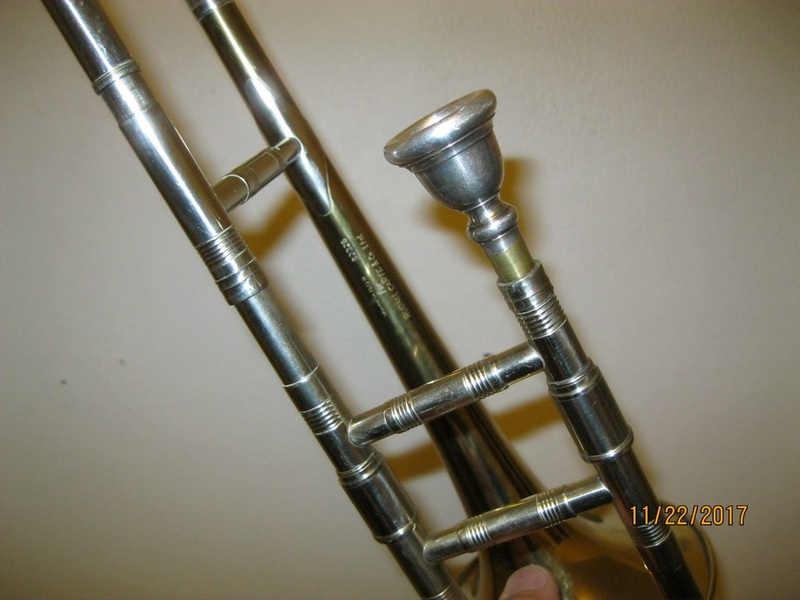 Both instruments have tuning slides and water keys, which are found on all modern trombones. The original mouthpieces are lost. Both horns are beautifully crafted, with seamed tubing throughout, and finely detailed; you can make out the snakes' scales, eyes and nose holes, and fangs! 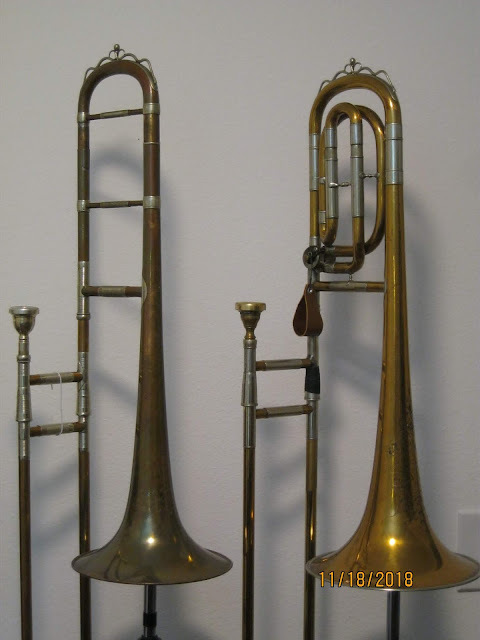 Wunderlich was an importer of instruments at the time but also employed immigrant workers from Germany, including the respected horn maker Carl Geyer. I do not know if these horns were imported whole or built from parts locally; the decorative styles and physical scale of the two are quite different, and they are made from different alloys, yet the snakes and waterways are identical. 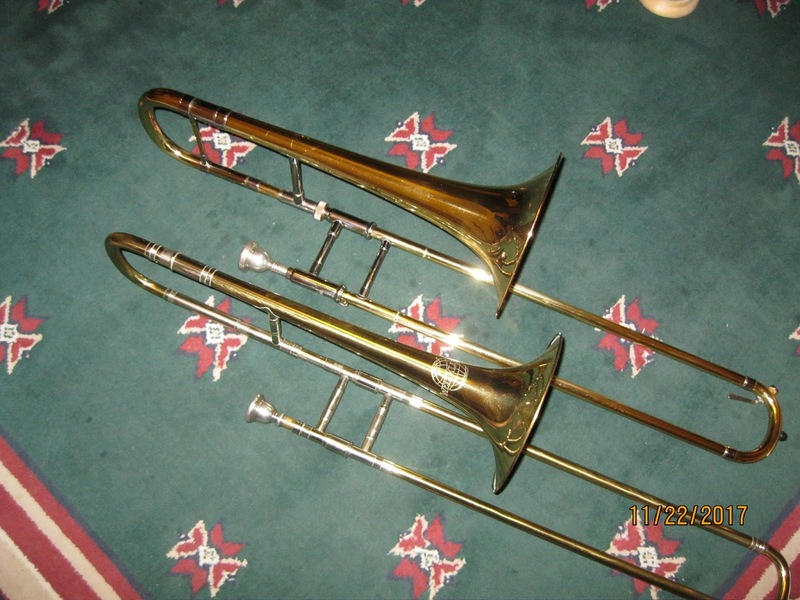 The instrument on the left, a tenor trombone, is built in high pitch with a dual bore of .525/540 and an 8-inch bell. 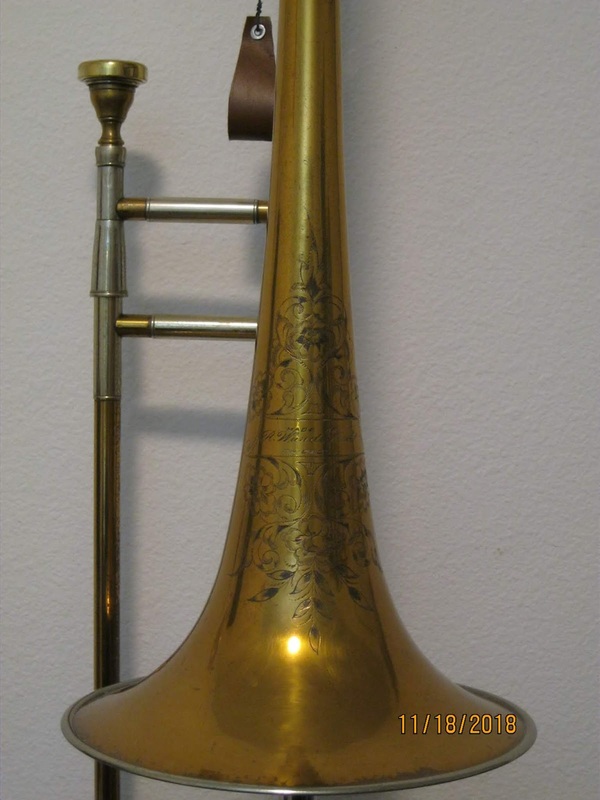 This bell is very thin and fragile and super-responsive, and the whole instrument is very lightweight. Its sound is intimate and colorful and voice-like and runs off the rails pretty quickly when pushed. I think it plays a ballad well, but it's not what I would use on Ride of the Valkyries. The slide is surprisingly good. It's fun and instructive to play at home, but I can't envision a use in the modern ensemble; it doesn't do everything well, and you struggle to keep the pitch down. Almost every component is made from rolled and brazed metal sheet, right down to the ferrules and braces and inside slide tubes. 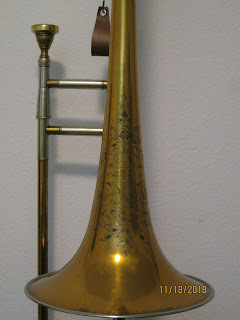 The brass (bronze?) components are oxidized to a delightful bluish brown. Extremely similar engraving appears on a 1914 Holton, a 1915 Holton, and also on a 1912 Harry B. Jay in my collection (all Chicago horns); I suspect they were all done by the same person traveling from factory to factory. As there are no serial numbers on the instruments, we cannot precisely date their manufacture, however Wunderlich conducted business from 1891 until 1916/17, when the U.S. entered WW1. It might be that anti-German sentiment at the time contributed to the company's demise. Richard Wunderlich himself is said to have gone on to work with Conn.
A mid-80's Schwinn mountain bike, totally rebuilt multiple times. A good bike, bought new and owned by the same person all this time. Three cranksets worn out in the years I worked on it, also dozens of tires, four saddles, three forks, three wheel sets, many chains and freewheels and brake pads, etc. etc. I think not a single component was original to the bike. This rig survived numerous accidents, in weather of all types, on- and off-road, and was stolen and recovered at least once. The owner found a number of local "bike shops" who refused to work on it, who only wanted to sell him a new bike. "Too old," they said, "not worth the repair," they said, "can't get parts for it," they said. "Bull," I say. It's too bad, that kind of snobbery which is one of the things driving customers out of bike shops and onto the web. Or in some cases out of cycling entirely.